Green Think is a call to action – it starts with a challenge to envision what sustainability ‘looks like’. It requires a great leap of imagination to conceive of beneficial human and natural systems that sustain life. It has been many generations since this knowledge was readily available. The core challenge faced by the human race is a reassessment of our values. Once we align our values with sustainability principles, then ‘how’ we accomplish this social and system change starts to become more clear, and less daunting. The wisdom in changing the way we view and act is clear – our survival and our happiness depends on it. One Island has developed an inter-connected education and rural development organizational plan to address these issues and help identify solutions that will be valuable in Hawaii, California, Washington and further afar. We are learning from sister organizations around the world, listening to local elders, respectful of ancient practices, and are leveraging the best new green technologies that give us the best chance for positive change. 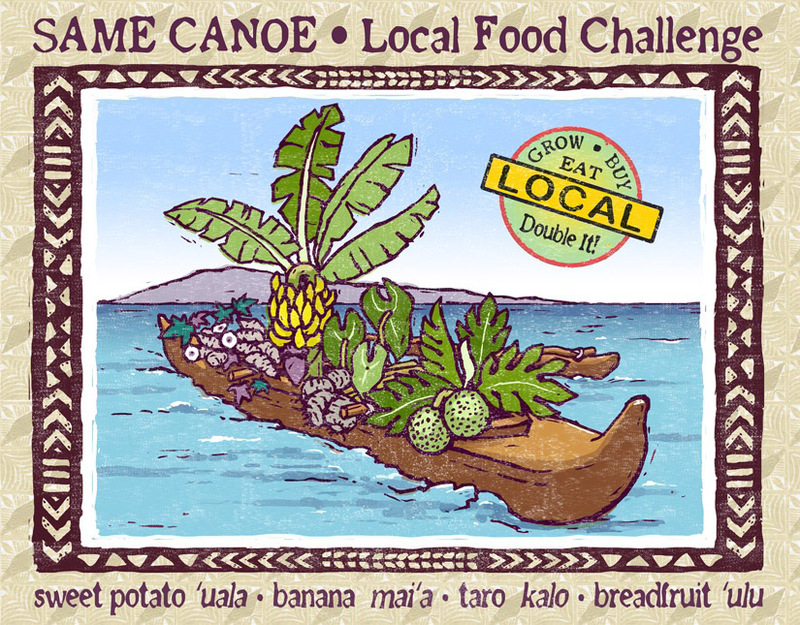 Reclaiming our Local Food System The state of food in Hawaii is distinctly different than on the mainland US. We are reliant on costly shipping of food that comes from over 3,000 miles away for 85% of our supplies. The need to develop Food Security is more critical here than on the mainland due to the remote geography, cost of fuel for transportation, and vulnerability to natural or other disasters. Funding raised to date to work on this initiative is $284,500. Education Hawaii residents and visitors are invited to attend One Island’s Green School that offers educational sustainable living workshops and tours year round. 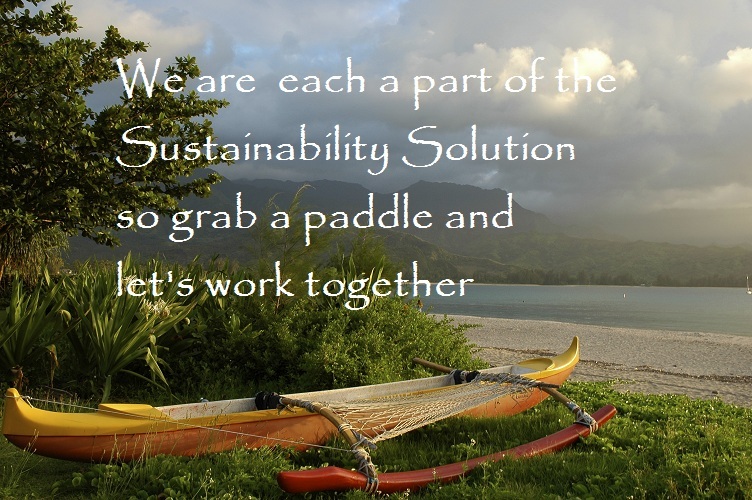 We host half day, full day and weekend workshops of value to local residents interested in sustainable island-living practices and bring world class presenters and events to our local area. One Island is also a portal for versatile online education programs and invites learners to participate from anywhere in the world. Funding raised to date is $500,000. Rural Development Along with education programs, we also are hosting rural development projects to improve the quality of life in the remote rural areas of Hawaii. We offer technical assistance and, as available, grants to assist households, farms, small businesses and non-profits to embrace sustainable practices. Total rural development funding raised to date, across all programs, is $2,384,000. Renewable Energy Our farm-based learning center uses renewable energy and cost saving energy practices. We have hosted the West Hawaii Sustainable Energy Project, an energy efficiency and solar energy grant program for residents on the west coast of the Big Island (from Honalo-Kealakekua in the north, for communities under 2500 in population, south to Na’alehu). So far, 180 applicants are being served by this project. Funding raised to date is $1,200,000. Affordable Housing One Island has received training and crafted an implementation plan for affordable housing development and is working with the USDA, State of Hawaii and private funders to begin construction in 2016-2019. Phase One is farm worker rental housing, Phase Two is low income worker housing and Phase Three is a Community Housing Land Trust for long term affordable home ownership. YES Youth Energy Sustainability Corps One Island has hosted a youth service learning program that provides the training and tools to learn to operate a green collar business. Participants are trained to offer local residents a cost effective way to monitor and analyze their energy consumption. Middle / High school and college aged youth are invited to participate under the direction of expert leadership. We are actively building a foundation for the Green Collar Workplace. Green Business Incubator and Green Jobs Local Hawaii Island residents can receive training and support to develop or enhance green businesses. Agriculture, ag-tourism, eco-tourism, renewable energy, healthy food and body care products, wellness services – these are all examples of green enterprises we have worked with local residents in developing. Grants writing assistance and technical support are offered as a rural economic development incubator service. Funding raised to date is $384,500. Natural Resource Conservation One Island hosts Watershed Education programs and field trips to help us all identify and minimize negative human impacts on our natural landscape. We also practice water and soil conservation, develop wildlife habitat, and focus on regenerative design practices. Our organic farm is a Pollinator Habitat. Health and Wellness Central to sustainable living is choosing a life that nurtures and sustains our own bodies. One Island hosts Wellness Days, special speakers, and experiential workshops that promote wellness. Our Same Canoe Community Garden project also ties together nutrition, wellness, and soil/plant development. Arts and Culture The arts and human cultural practices are the heart of sustainability. One Island’s guest teachers host workshops in all media, we host art exhibits, music, poetry readings and films that stretch and inspire the imagination. In 2014 we launched ARTlandia as a rural arts program network serving Hawaii, California and Washington villages.